Our product range includes a wide range of ac motor controllers and curtis motor controller. Curtis Sepex® Motor Controllers deliver smooth, silent and seamless control of separately excited (SEM) DC motors. SepEx® motor controllers eliminate the need for reversing contactors and provide regenerative braking to near zero speed. Curtis' renowned MOSFET power sections, combined with a sophisticated microprocessor, provide high efficiency and flexibility. The Curtis Motor Controller has multiple applications across various industries. 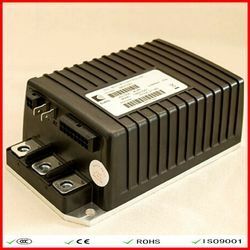 With the help of our efficient staff and advanced technology we have been able to design very efficient motor controllers.They are made up of finest quality of raw materials which makes them very popular among our wide customer base.They posses effective fusion of both smoothness by curtis speed controllers and rugged strength by using programmable logic controller.They are suitable for both industrial and commercial electric vehicles. 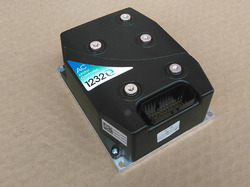 Looking for Motor Controllers ?